Dubai: A glamorous knot-tying occasion saw the serene lakes near Al Qudra transform into a picturesque landscape for nine couples who celebrated their wedding in Dubai. The wedding was also attended by His Highness Shaikh Mohammad Bin Rashid Al Maktoum, Vice-President and Prime Minister of the UAE and Ruler of Dubai. 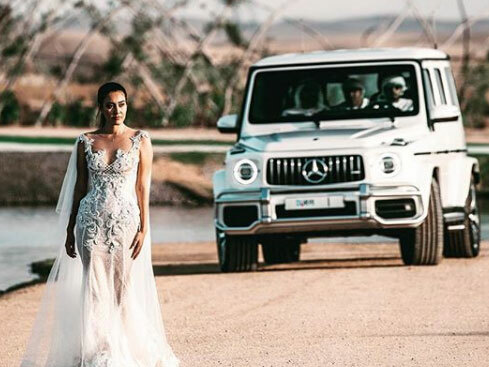 According to organisers, the culturally curious couples who travelled from China, "wanted to hold their wedding ceremony at the Love Lakes amid the sprawling tranquillity of Dubai’s undulating sand dunes." The occasion was organised by Hala China, a joint initiative by Meraas and Dubai Holding, who hosted the wedding ceremony last week at the exclusive Love Lakes.